Billy No Mates! 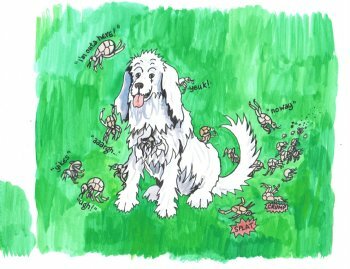 is a totally natural mix that is absolutely HATED by fleas, ticks and mites. BNM is simply sprinkled over your dog or cat's food. We recommend BNM is used from early March onwards but can be used throughout the year. Allow 6 weeks to become totally 'effective'. You can earn 41 PawPoints on this product! great for skin and coat condition. Please note that we recommend you allow up to 6 weeks for this totally natural product to become totally effective so we would usually recommend starting in early March - although it can be used a year round. To ensure the efficacy of BNM, please give your dog a short break before restarting. If you suspect your dog has fleas before starting BNM, please consider using our Skinny Dip Shampoo.although it can be used a year round. To ensure the efficacy of BNM, please give your dog a short break before restarting. If you suspect your dog has fleas before starting BNM, please consider using our Skinny Dip Shampoo and our Skinny Spray. 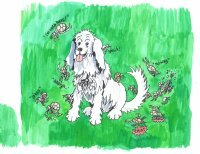 "Flea & Tick Free All Season"
Review: My four dogs have been on Billy No Mates for a while now and we don't have any problems with fleas and ticks. Can highly recommend it.